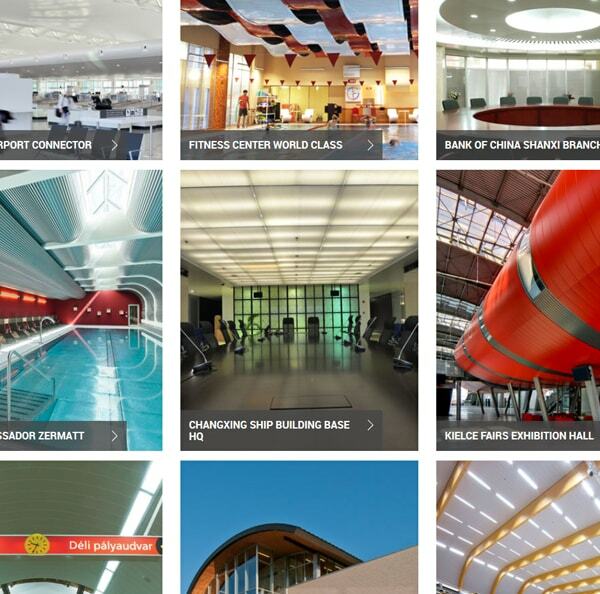 Hunter Douglas metal curved ceilings are ideal for projects where designers are looking to create arches and multilevel designs. They can be manufactured from panels up to six metres in length to help the definition of areas both large and small. They are available in a variety of colours, finishes and curve options. 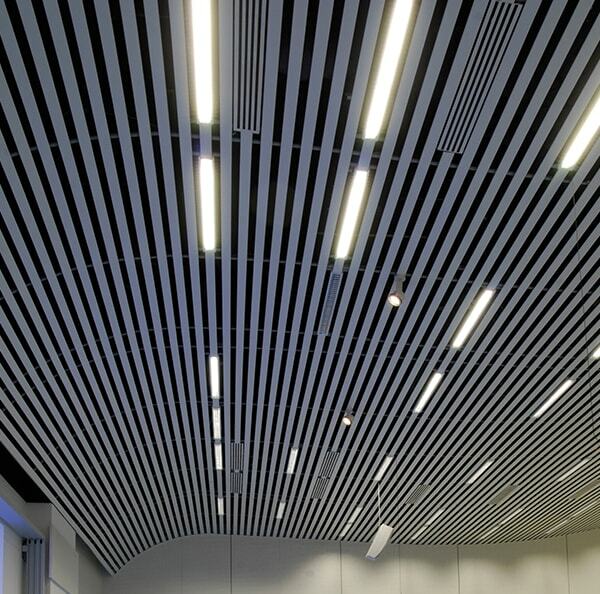 WHAT ARE CURVED METAL CEILINGS? Curved ceilings can be constructed from curved aluminium and steel panels, which allow for convex, concave or undulating designs. Just like our standard metal ceiling systems they are fitted on the same suspension system, which allow for an easy transition from straight to curved panels. We offer three varieties of our curved metal ceilings. - Wide Panel 300C - 300 mm wide by up to 6000 mm in length.. - 84R - 84mm wide round edged panels by up to 6000 mm in length. - Curved carrier system - created from straight panels but the suspension allows them to appear curved. Just like our standard metal panels they can be made up in a variety of colours, sizes and finishes. 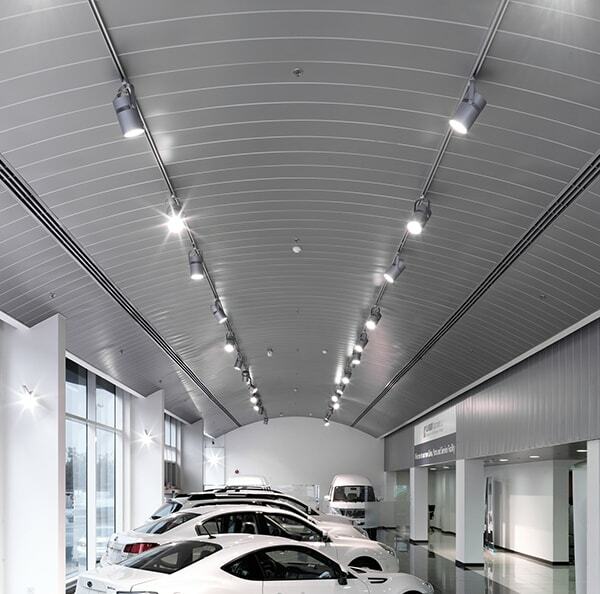 All of our curved metal ceilings are manufactured from the same Luxalon metal panels. With these panels an absorption value (αw) 0.75 can be obtained, depending on the ceiling and panel configuration. To further increase acoustic absorption, consider the ceiling radius: an increase in material surface quantity can result in up to 55% enhancement of absorption surface. Hunter Douglas offers a wide choice of colors and finishes. Some colors and finishes carry a premium price over manufacturer's standard colors. In addition, there are several special metallic colours and chrome finishes available from the Stretch Metal palette. Other special colours and colour matching is available on request. Please consult Hunter Douglas for minimum quantities and lead times on specific orders. Hunter Douglas Metal ceiling panels are classified incombustible and will therefore not contribute to possible fires. 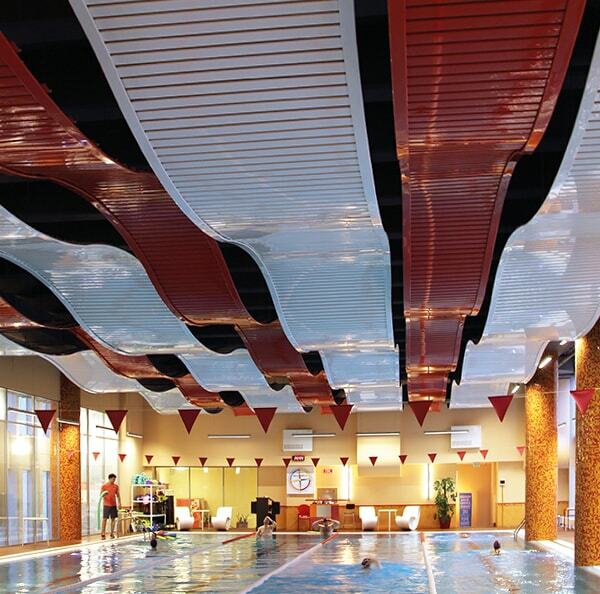 When ceilings however need to protect the structural integrity of the building, Hunter Douglas Ceilings offer a range of practical and tested solutions with regards to fire resistance and fire stability. Further information is available on request. Be inspired by our project gallery with curved ceilings. Click on the photo for more information. Use the filters below to browse our full selection of Curved Products.